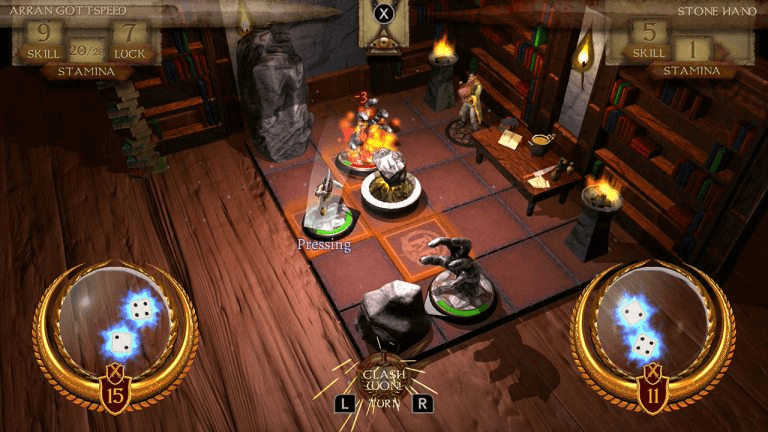 ‘The Warlock of Firetop Mountain: Goblin Scourge Edition’ Will be on the Switch… Soon! When first we heard about how Tin Man Games’ reimagining of The Warlock of Firetop Mountain was heading for Nintendo’s latest console, back in May, details were scarce at best. I mean, the reveal was based on a brief tweet and a a picture, after all. That was it. But now the fabled (release) date is almost upon us, and with it, more information. Good stuff too, including a much too lengthy name (The Warlock of Firetop Mountain: Goblin Scourge Edition). So go ahead and turn to pag– I mean, continue reading. So, in case the ‘Goblin Scourge Edition’ part didn’t make that overly obvious, this release comes bundled with the Goblin Scourge! DLC – an expansion of sorts which, among other things, brings about The Goblin Gauntlet, further extending an already content-packed game. Quite lovely, I’d say, and that’s on top of dozens of unlockable hero characters; each of which comes with unique changes to both combat and story, giving this version of the classic gamebook a fair chunk of replay value. Oh, and you don’t have to play on the side of good either (see: The Goblin Gauntlet). Sometimes it’s good to be bad. What makes this release even more exciting is that it is a first for Tin Man Games on the Switch, and hopefully not the last either, as I for one would love to see Fighting Fantasy Classics on Nintendo’s hybrid at some point. For now though, in approximately one week, we’ll have our hands full when The Warlock of Firetop Mountain: Goblin Scourge Edition crashes down onto the eShop, pen and paper entirely optional. The Warlock of Firetop Mountain: Goblin Scourge Edition will be available on the Nintendo eShop come September 13, carrying a $29.99 price tag ($23.99 if pre-ordered).